The timeline of the Frontiers Exhibition is from 1865 to the present, and will also encompass, in part, our vision for the future. 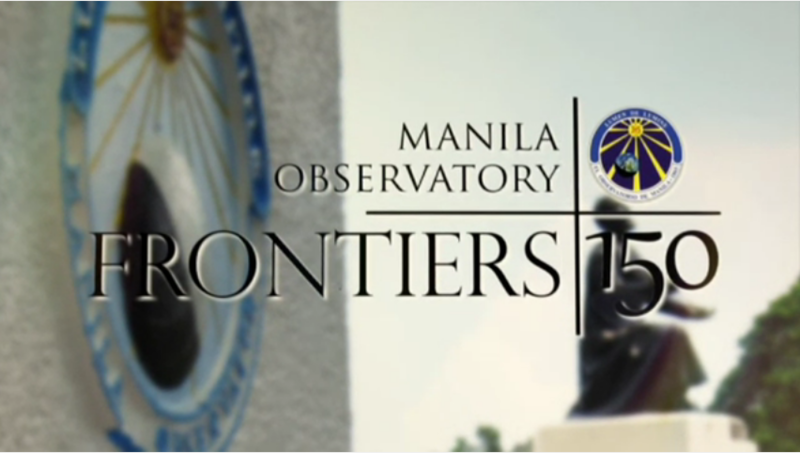 Since its inception in 1865, the Manila Observatory remained consistent in responding to the needs of the country, making incremental contributions to challenging Science questions that affect our People’s quality of life. In the 1990’s, with disproportionate use of fossil fuel, climate change is more obvious and became alive in our consciousness as an institution. We recognized the changing needs of our country, region and also our planet. Combined with our increasing poverty and population density, this global problem makes us more vulnerable especially in the face of extreme weather events, worsening air pollution, and natural geophysical hazards. It is in the light of these that the Observatory established its present Science Agenda to address the challenges of sustainable development and poverty reduction through centers focused on advancing its mission across the following areas: remote sensing and ground-based environmental observations; climate change, variability, and extremes; disaster risk and sustainable development; and public health and human vulnerability. As a Jesuit scientific research institution, the Manila Observatory remains committed to venture to the scientific peripheries in service of the community.